The Stripe payment gateway will allow your attendees to pay for their event registration with a credit or debit card. Need to Buy a Support License for the Stripe Payment Gateway for Event Espresso 4? 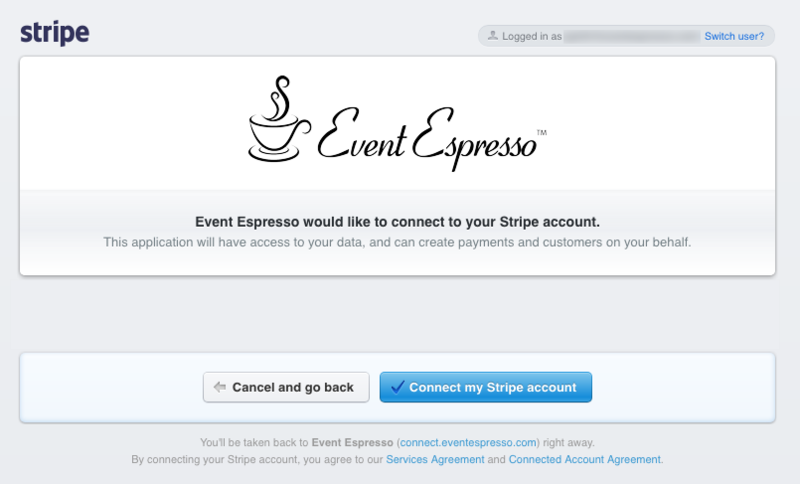 Download the latest version of the Stripe payment gateway for Event Espresso 4 from your Event Espresso account page. Scroll half way down the page until you see the blue “Connect with Stripe” button. 2. When you click that Connect with Stripe, you will receive a popup window with the Stripe login form. 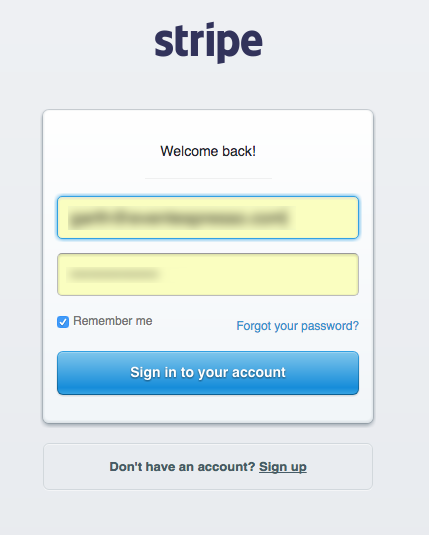 Enter your username and password to sign in to your Stripe account. 3. You will be told that Event Espresso would like to connect to your Stripe account. 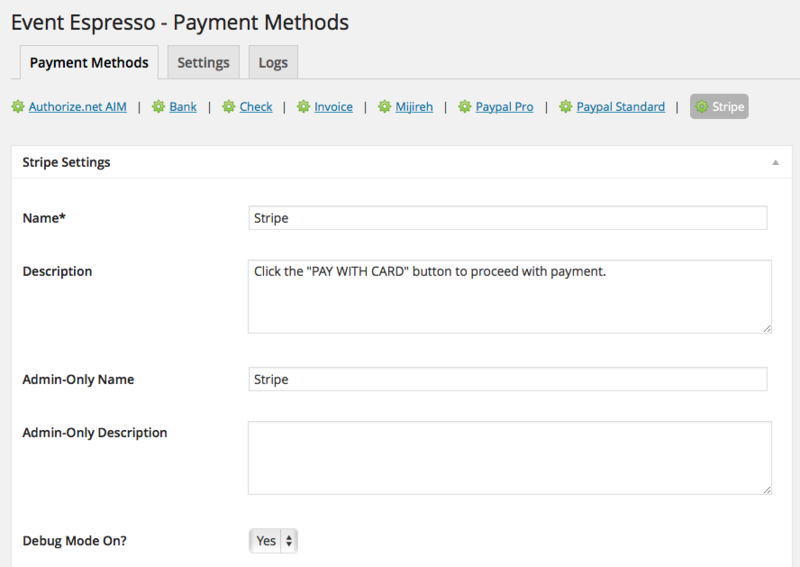 This IS what you want so that Event Espresso can create payments and customers on your behalf in your Stripe account. Click the blue “Connect my Stripe account” button. 4. You will be asked to complete the verification process by confirming the connection. Be sure that the correct URL for your site is listed in red. If your website address is listed in red, click the blue “Yes Complete the Authorization Process!” button. 5. After you successfully connect Event Espresso to your Stripe account, you will be redirected back to your website on the Stripe settings page. You will see a purple checkbox saying “Connected”. You are now ready to accept payments. Will Stripe be the only payment method enabled or the only one you offer? Click here to learn how to make it selected by default during the registration checkout. An account with Stripe is needed to accept payments via Stripe. Login to your WP-admin (WP Dashboard) and go to Event Espresso –> General Settings –> Payment Methods. Once on the Payment Methods screen, click on Stripe and click on the button to activate the payment method. Validate the billing ZIP code? – Enabling this option will check that a zip (postal) code matches the bank card. Collect the user’s billing address? – This will collect the user’s (attendee/registrant) name and billing address. Logo URL – This is the URL to the logo shown at the top of the Stripe checkout screen (for best results use 125px by 125px). The Stripe payment gateway will let you accept payments via major credit or debit cards. An account with Stripe is needed to accept payments via Stripe and an SSL certificate is recommended for securing your website. How can I setup a recurring payment or subscription through Stripe? Recurring or subscription payments are not currently supported in the Stripe payment gateway. When I refund a payment, does it also refund through Stripe.com? 2) Then login to your Stripe merchant account and process the refund. Is an SSL certificate needed for Stripe? Compliance with the Payment Card Industry Data Security Standards (PCI DSS) is required if you are processing, storing, or transmitting credit card data. 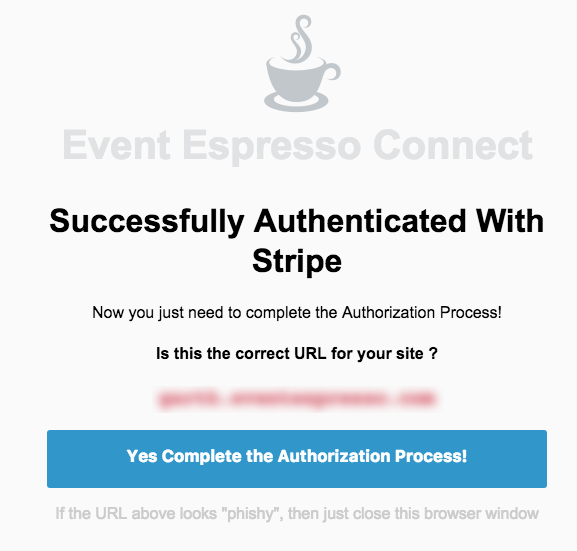 Event Espresso helps you by using Stripe Checkout for processing payments through Stripe and we recommend using a dedicated SSL certificate on your website. View more information on PCI compliance from Stripe.